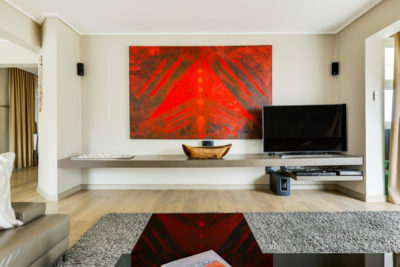 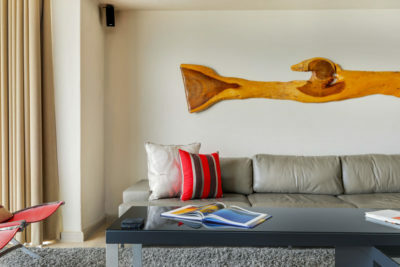 With every sunset this three bedroom apartment houses the most beautifully warm colors as it is like a contemporary canvas with bold, inspiring art work. 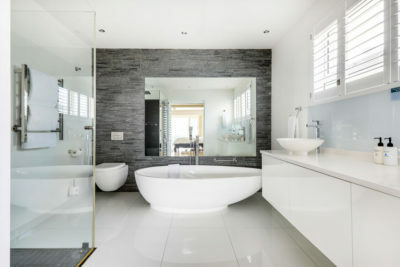 The bright white finishes absorb all the possible colors that come from light during the day and evening. 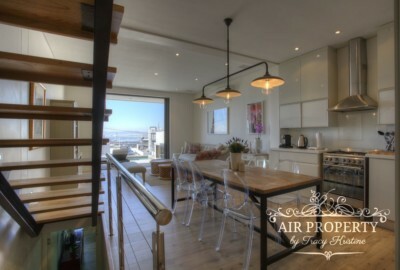 At night this apartment is impressive with the night lighting and the natural stars. 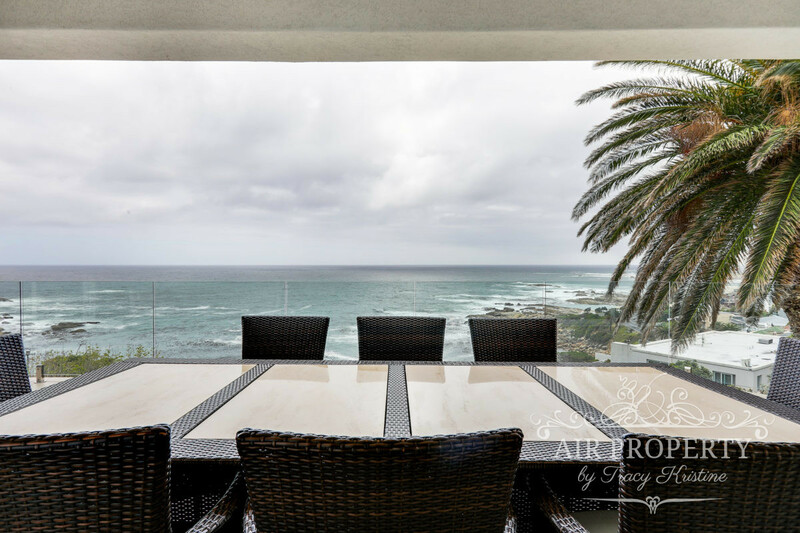 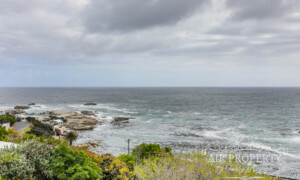 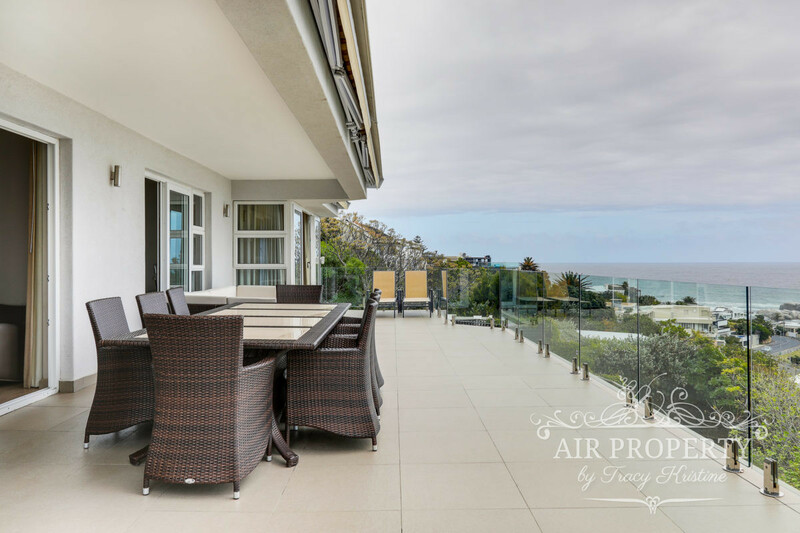 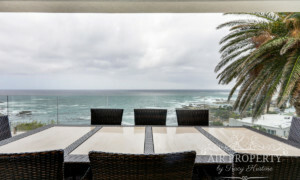 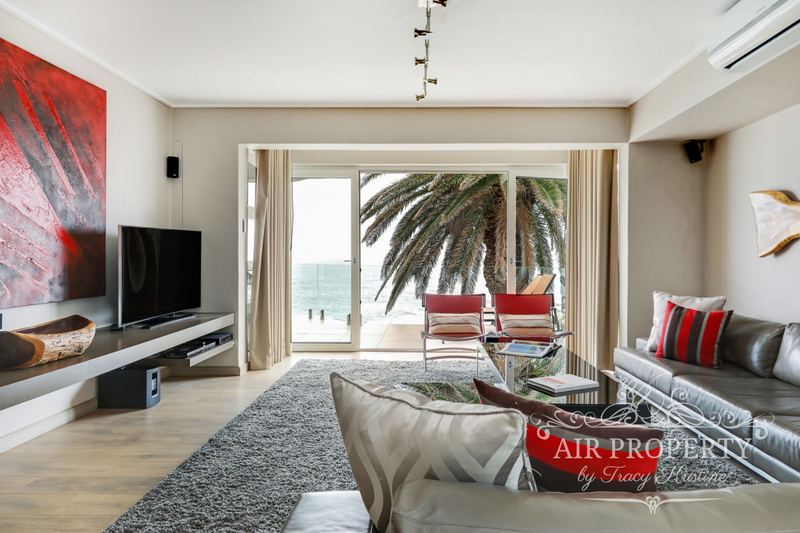 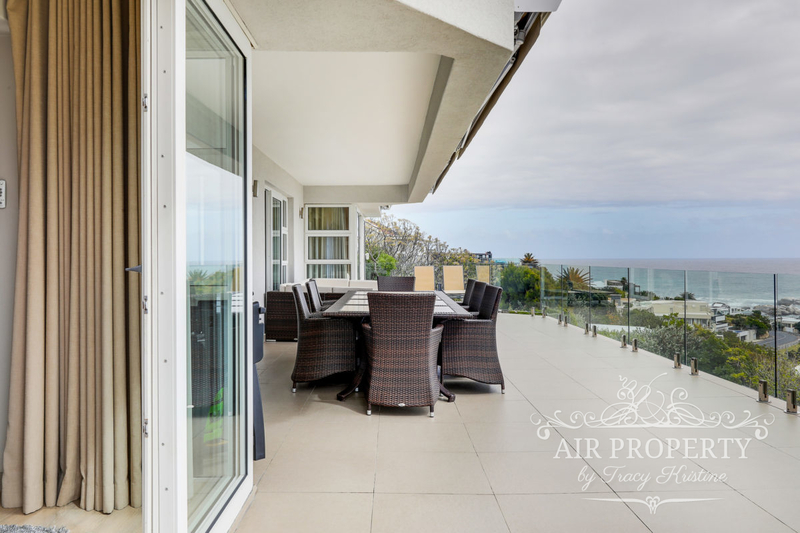 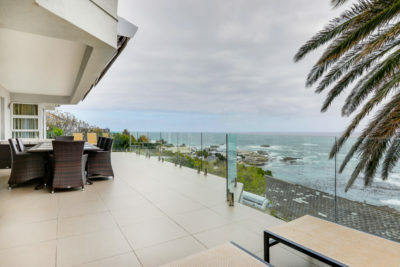 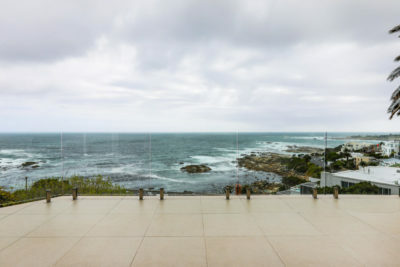 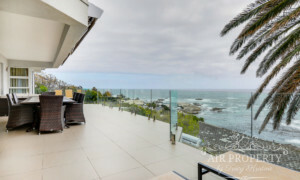 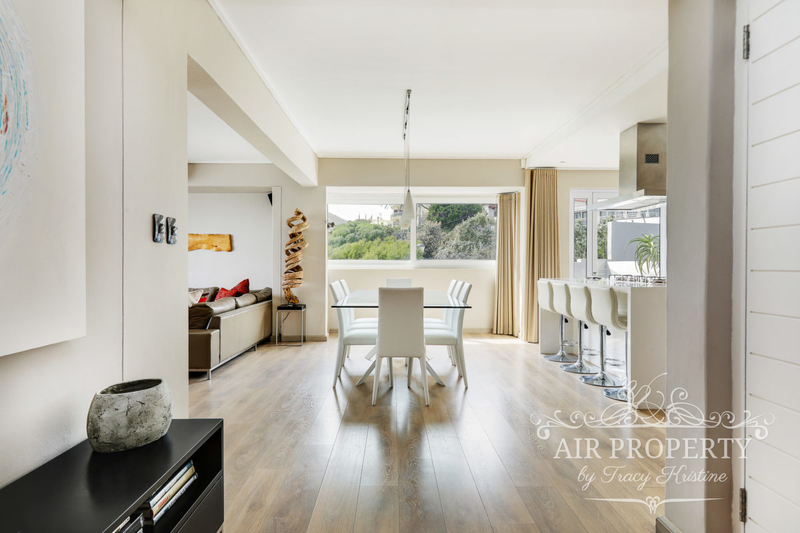 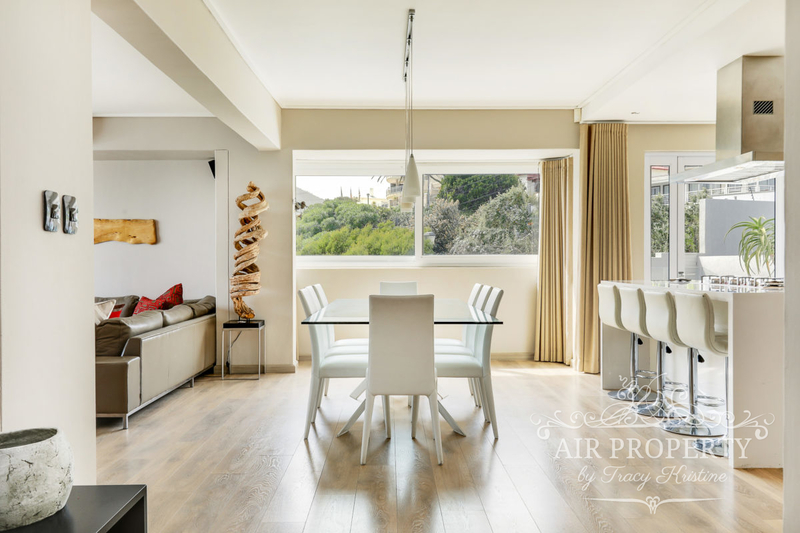 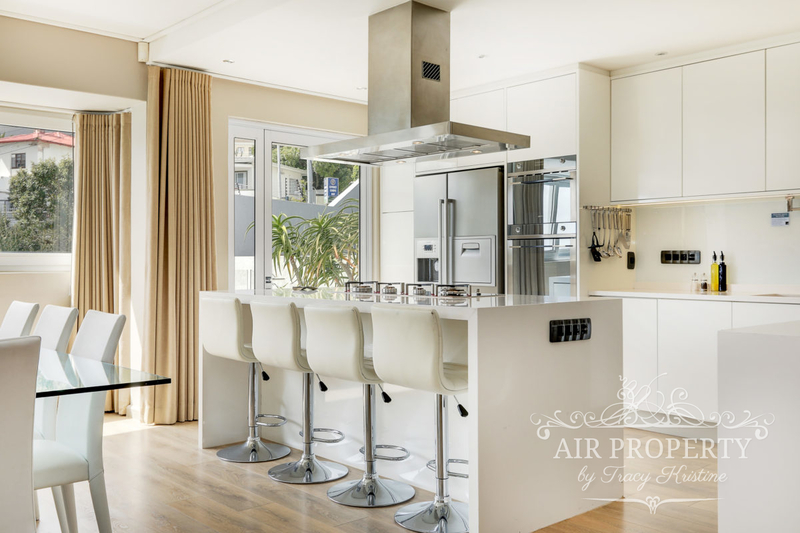 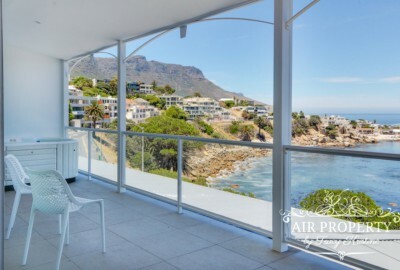 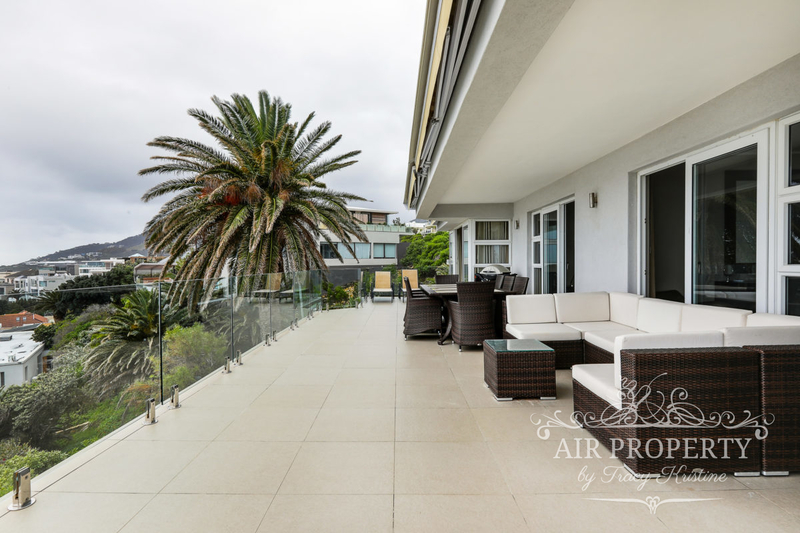 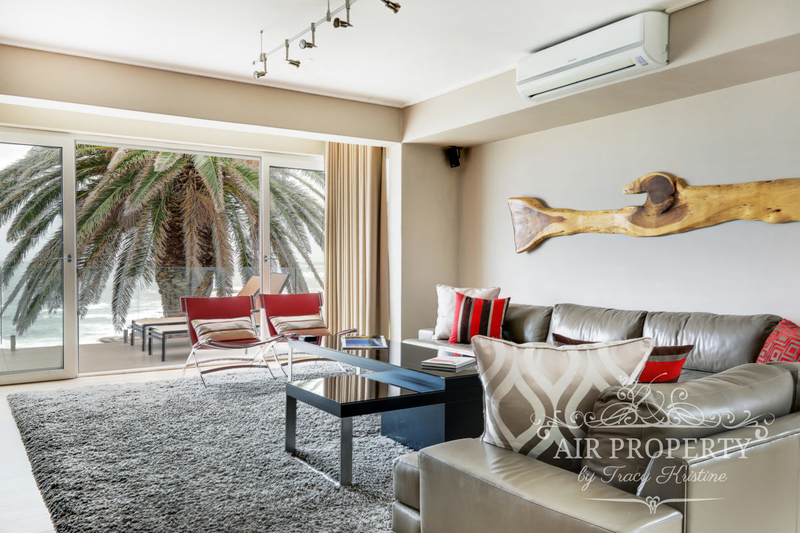 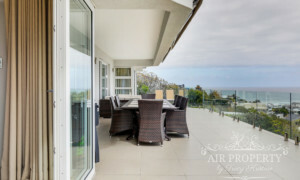 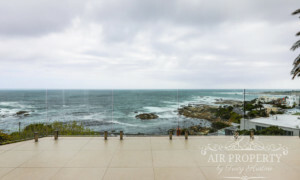 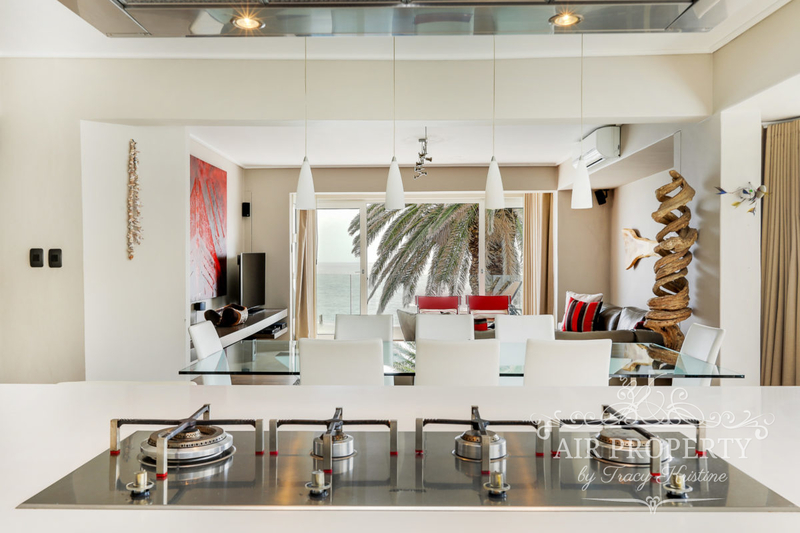 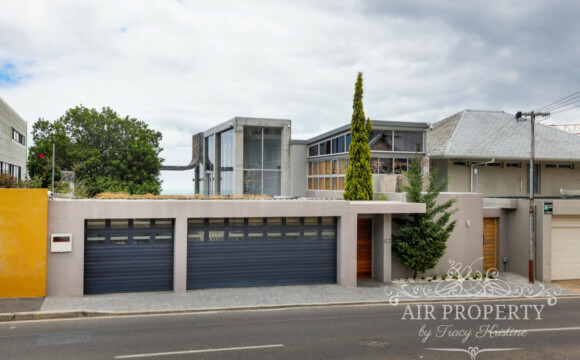 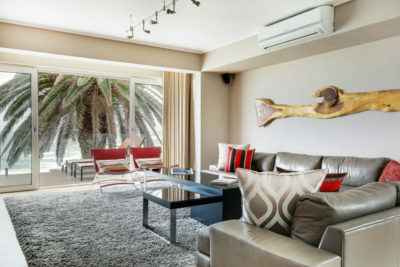 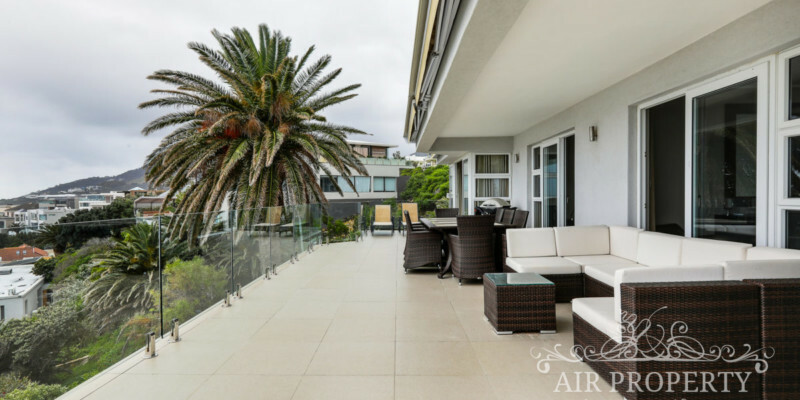 The front terrace (which all three bedrooms open up onto) is completely sheltered even from our infamous Cape Doctor, so whether you are entertaining or just having a quiet cup of tea on your own to catch up with yourself, this terrace, complete with an outstanding view is the ideal setting. 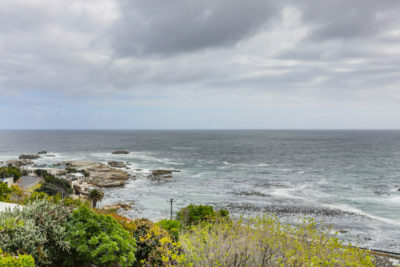 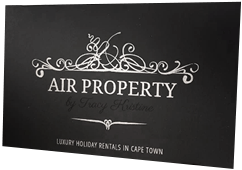 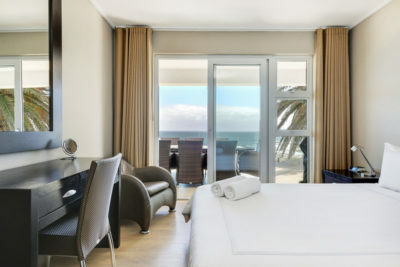 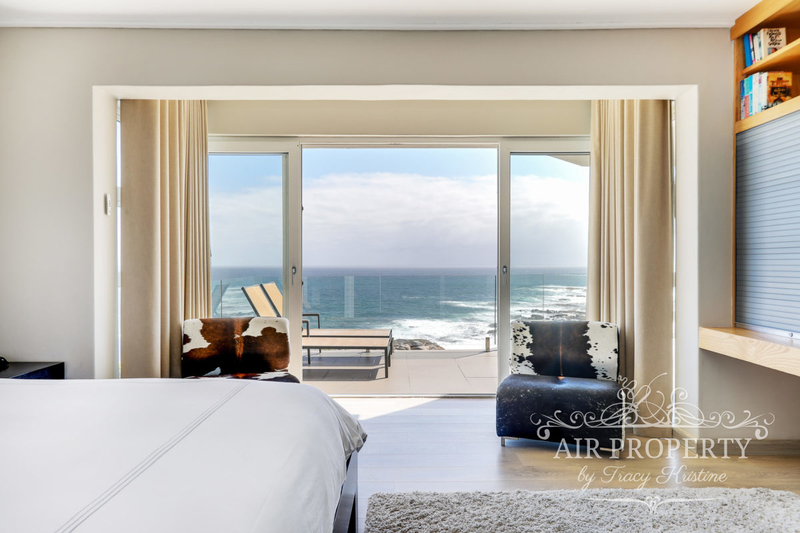 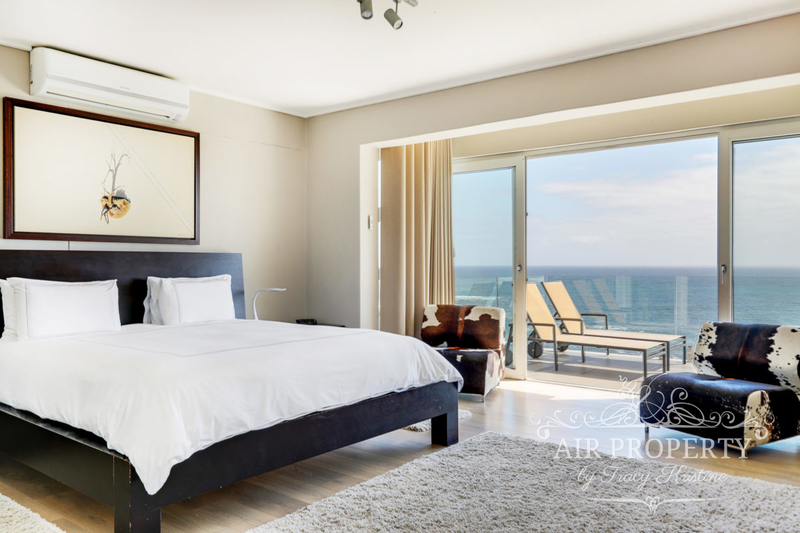 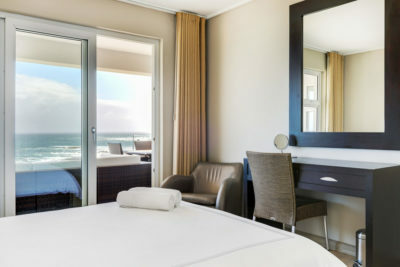 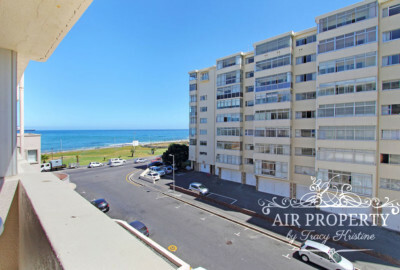 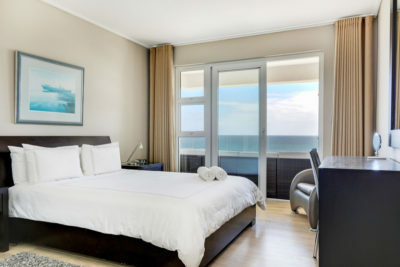 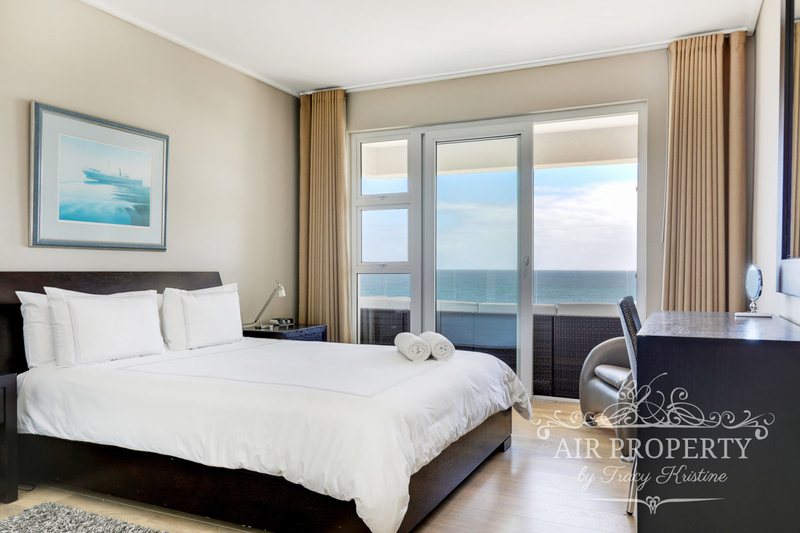 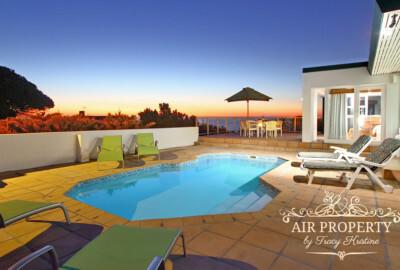 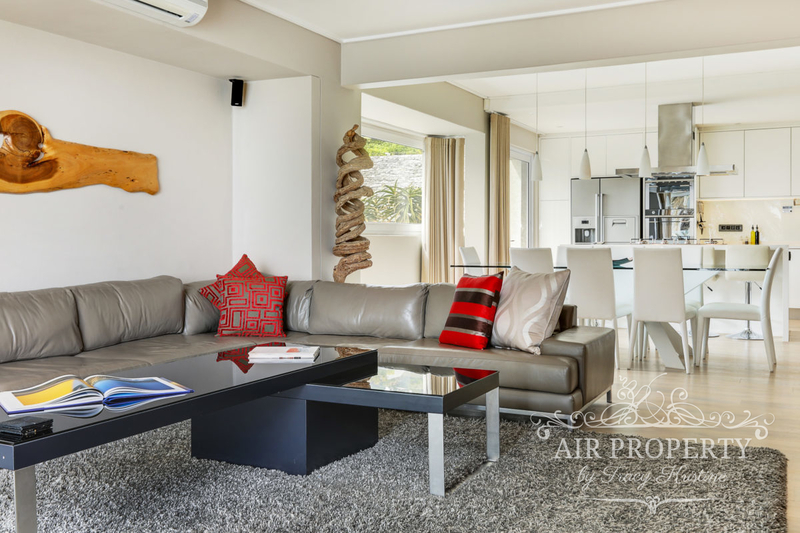 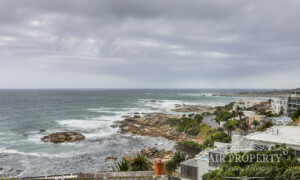 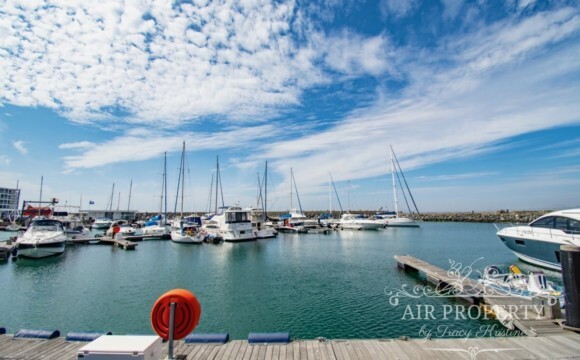 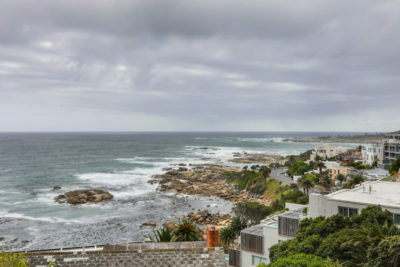 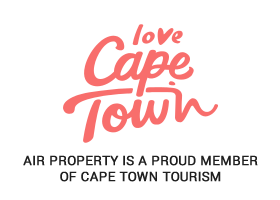 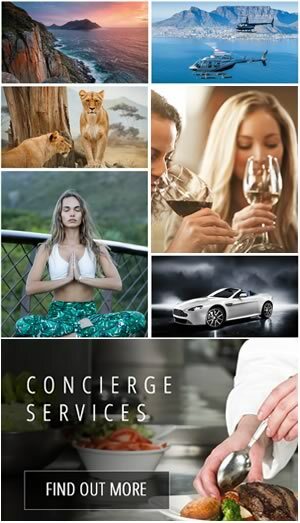 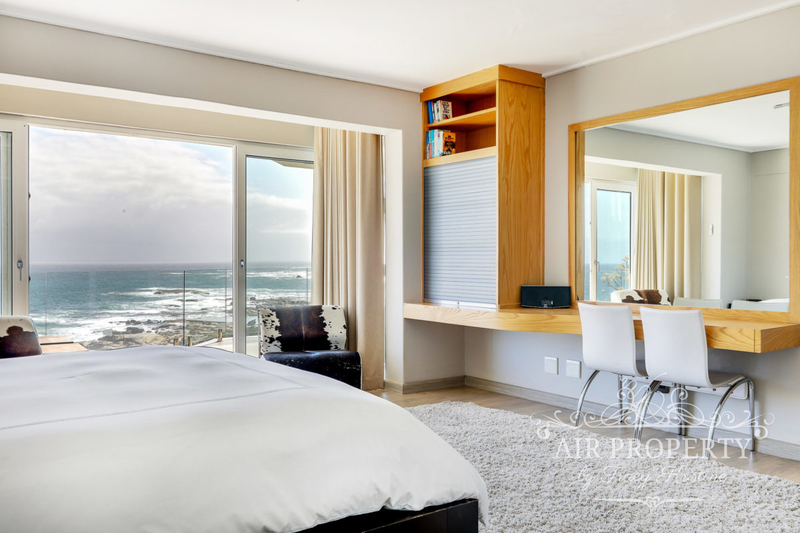 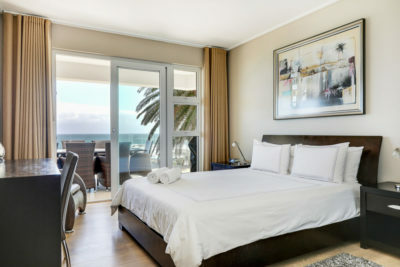 You will feel completely spoilt with flawless views of the Atlantic Ocean and Lion’s Head as well as the Twelve Apostles. 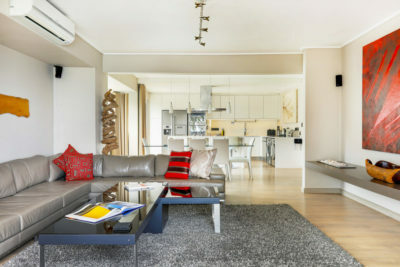 The apartment is all on one level which is ideal for disabled persons and is definitely child friendly. 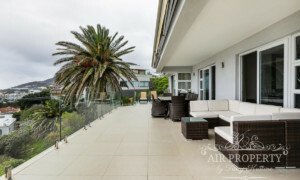 There are a couple of stairs leading into the apartment though and some leading down to the private pool area, which means that some supervision may be necessary. 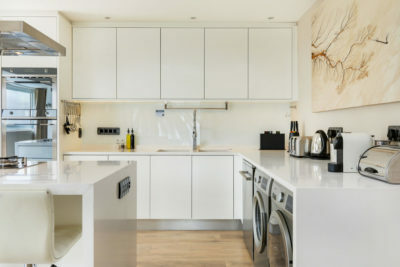 Should you enjoy cooking or just need some space to do your laundry, this apartment is completely equipped for all your needs. 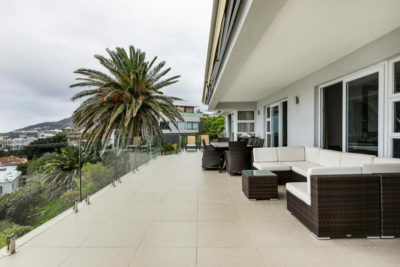 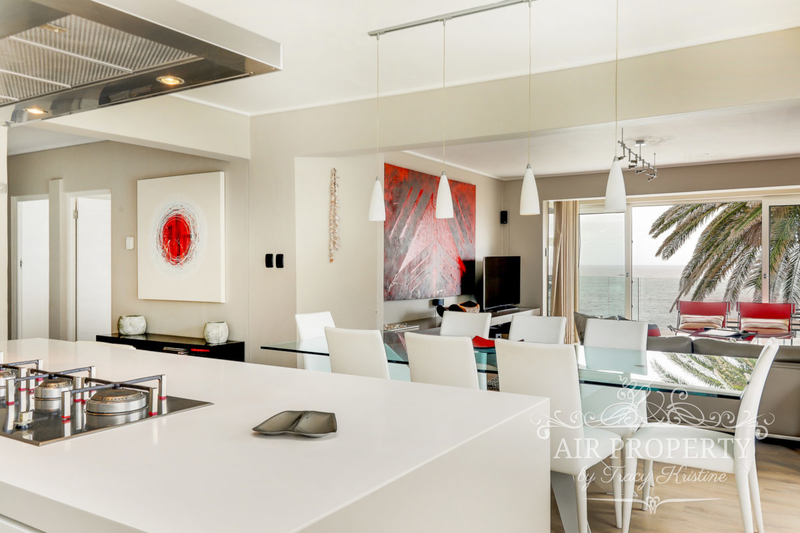 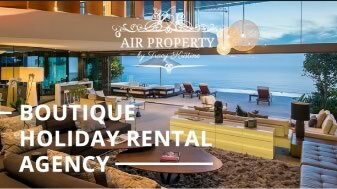 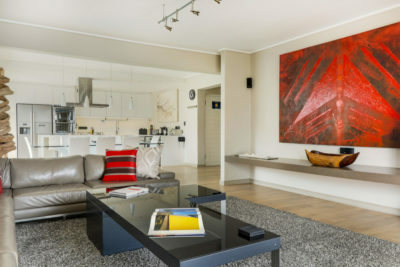 With privacy and space being the ultimate luxury, this apartment is perfect for any party make up or any rental needs.